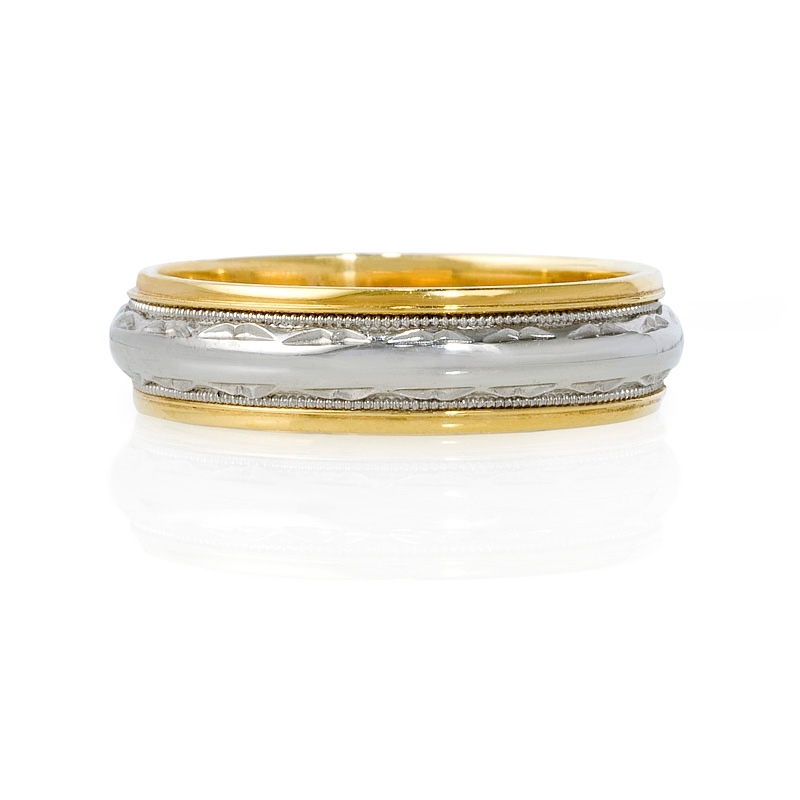 Ring Details: Platinum and 18k yellow gold with antique style. Measurements: Size 9(sizable) and 5.5mm wide. Some sizes may be special ordered and take approx 3 weeks to deliver. 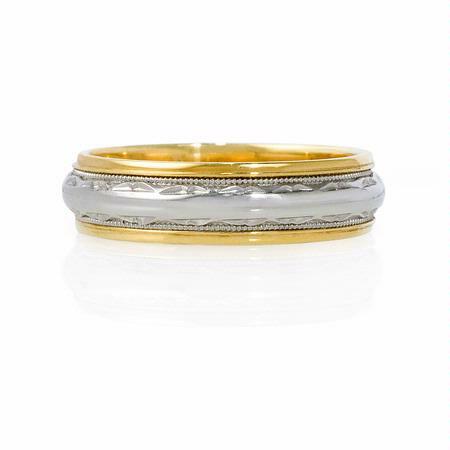 This stylish men's platinum and 18k yellow wedding band gold antique style ring, features a gleaming matte and polished finish. 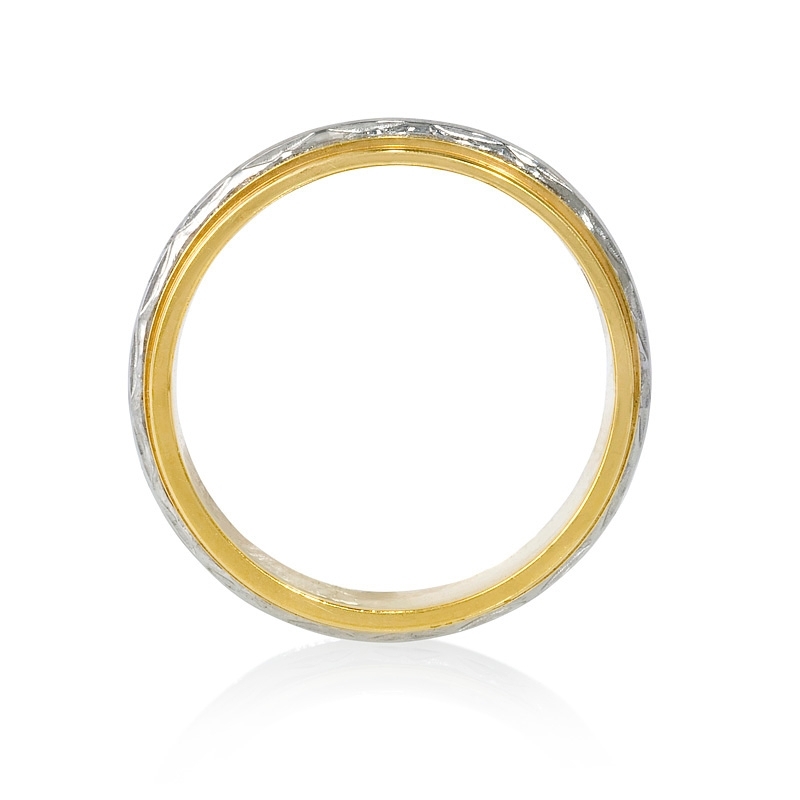 The ring is a size 9 and measures 5.5mm wide.